The American Association for Ukrainian Studies and Shevchenko Scientific Society will hold its business meeting and reception at the 2017 Association for Slavic, East European, & Eurasian Studies convention on Friday, November 10th, 3:45-7:30, Marriott Downtown Chicago, Fourth Floor, State Avenue. 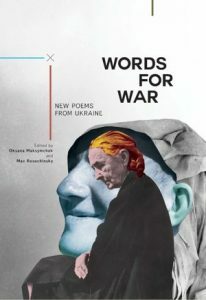 Afterward, please join us for a discussion on the forthcoming Academic Studies Press (Boston, MA) volumes The White Chalk of Days: The Contemporary Ukrainian Literature Series Anthology compiled and edited by Mark Andryczyk and Words for War: New Poems from Ukraine edited by Oksana Maksymchuk & Max Rosochinsky. 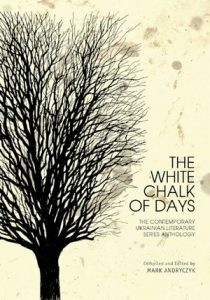 The White Chalk of Days presents translations of literary works by Ukraine’s leading writers that imaginatively engage pivotal issues in today’s Ukraine and express its tribulations and jubilations. It offers English-language readers a wide array of the most beguiling literature written in Ukraine in the past fifty years. The poems collected in Words for War engage with the events and experiences of war, reflecting on the themes of alienation, loss, dislocation, and disability; as well as justice, heroism, courage, resilience, generosity, and forgiveness. The anthology brings together some of the most compelling poetic voices from different regions of Ukraine.